SLP has been hard at work developing the Power Pack systems for 2014 and 2015 General Motors trucks powered by fifth-generation 5.3L and 6.2L engines. 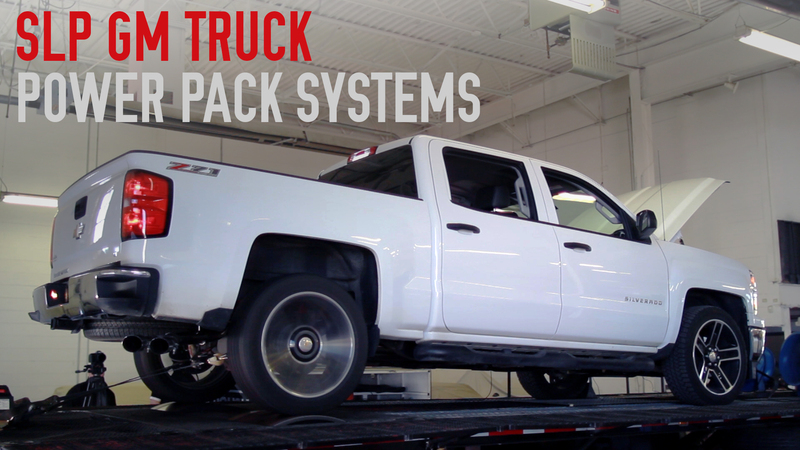 SLP engineers have put the Power Packs through extensive testing with development hardware on the dynamometer and in real world conditions where payload and towing are crucial aspects of truck performance. The SLP Power Pack includes a Blackwing Cold Air Intake and Loud Mouth I Exhaust System. While the stainless steel Loud Mouth I exhaust tone is notably bold and aggressive to the competition, passengers won’t be bothered by a loud or overbearing interior drone. The 2014 and 2015 GM Truck Power Packs will be available by late summer 2015.